This equity destination club has just added three new homes. Two of the homes are replacements for earlier homes in Deer Valley, Utah and the Gulf Coat of Florida and one is a brand new location for the club on the island of Maui. The overall number of destinations accessible to Equity Estates members has increased rapidly of late, particularly with last months announcement of a partnership with Europe based the Hideaways Club. "The last six months or so has really been an ideal time for finding amazing homes in destinations that we've had our eye on for awhile," said Adam Capes, co-founder of Equity Estates. "Our ability to capitalize on the down market has allowed us to add a new residence in the world-famous Wailea area on Maui, replace our previous residence on the Emerald Coast of Florida in Inlet Beach for a magnificent new property in WaterSound, and upgrade our residence in our very popular Deer Valley destination." Equity Estates' first Hawaiian residence is in the heart of world-famous Wailea on the island of Maui. Owner members will relax in a new, 4,000-square-foot villa boasting multiple lanais, a finely appointed interior and three large bedrooms, including the over-sized master suite with its own lanai, sitting area and private bar featuring a Sub-Zero refreshment center. Owner members will also relish close proximity to the lush tropical pool with a sandy beach entry, a dramatic 19-foot waterfall and a swim-in grotto as well as the panoramic Pacific views from Wolfgang Puck's Spago just across the street. For activities, there is championship golf and luxurious spas just outside the enclave's private gates as well as shopping at the upscale Shops at Wailea. Of course, nature takes precedence on Maui including the famous "Road to Hana" for breathtaking waterfalls, native fauna, lush rainforests and unblemished history. Located directly on the Gulf, Equity Estates' WaterSound Beach home is a spectacular upgrade in an unbeatable locale. WaterSound Beach is famous for its mile-long stretch of sugar-white beach hugged by century-old sand dunes. 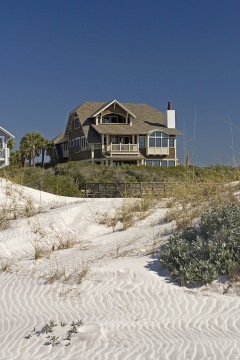 Nestled in the heart of the growing Emerald Coast area, WaterSound Beach is noted for its superb year-round weather. Owner members have an upfront and personal view of the scenery from the, five-bedroom, Nantucket-style residence, which boasts exquisite Gulf and tidal lake views. The home sits on an idyllic wood pathway along the beach that leads to community amenities like the private beach club and pools. The spa-style wading pool (plunge pool) off the great room is the perfect spot to catch warm gulf breezes, and screened and open porches on all levels promote outdoor living at its finest. The private Beach Club features an upscale restaurant, outdoor bar overlooking the Gulf of Mexico, zero-entry pool with poolside refreshment and towel service, and tennis courts as well as complimentary morning coffee, beach chairs and umbrellas and pool and beachside activities for kids. Equity Estates' WaterSound residence will be available starting in April. Equity Estates has upgraded from their residence in Lower Deer Valley to a spectacular ski-in, ski-out residence in Empire Pass. This five-bedroom, six bathroom stunner that sleeps up to 10 people is packed with perks, not the least of which is its location at the base of Deer Valley's most popular lift, The Northside Express. Owner members will enjoy amenities ranging from a home theater and underground parking to a fully equipped kitchen and breathtaking panoramic views. Consistently rated the top ski resort in North America, Deer Valley offers incredible powder skiing for all skill levels. But owner members should not forget about the area's "other" season-summer brings with it blue-ribbon fly fishing, world-class mountain biking, horseback riding, hiking, white-water rafting and lazy afternoons spent hammock swinging. 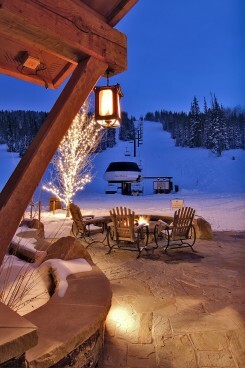 The new Deer Valley residence is available now for new reservations. Including its partnership with the Hideaways Club, Equity Estates now provides its owner members access to 30 properties in 23 destinations on three continents. To compare Equity Estates to any of the other destination clubs, start with our comparison of destinations clubs. If you're getting up to speed on destination clubs, that offer their members access to luxurious vacation homes around the world, then you can also use our destination club glossary and download our in depth Guide to Destination Clubs.